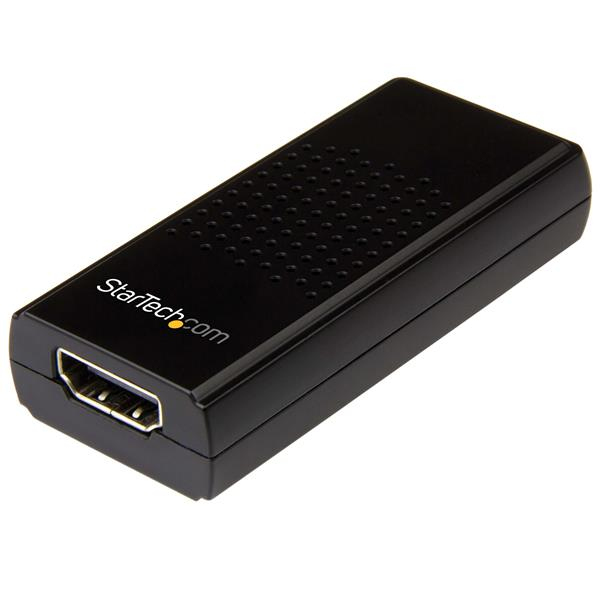 Capture an HDMI video source to your PC using this compact external capture device. This USB 2.0 video capture device lets you record high-quality 1080p HD video and stereo audio to your computer system. With H.264 encoding, this is the perfect solution for capturing high-definition video for editing, compiling, and archiving. The capture device is USB-powered and features a compact and lightweight design for maximum portability. The capture device is very portable, so you can easily fit it inside your laptop bag or even your pocket. It doesn't require an external power adapter, which makes it perfect for on-the-go applications such as recording conferences or lectures. The external capture device is also great for general entertainment applications. 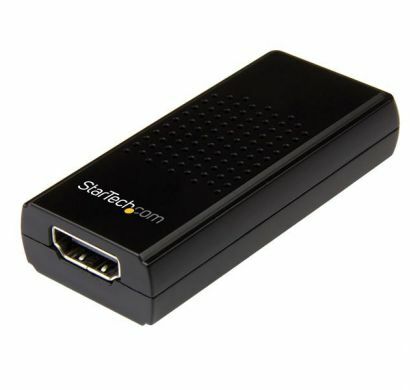 If you're looking to capture video from your HDMI enabled computer to create training videos or videos for conference calls, this USB capture device is perfect for you, with support for 1080p video at 30 FPS. You can take video capture beyond a desktop or laptop, by recording high-definition video from any HDMI equipped device, such as a security system or POS terminal for business applications. The capture device encodes video in H.264 -- the most widely adopted video codec in the world. By ensuring that your video captures are compatible with almost any device platform, you save the time of having to edit or convert them to a usable format. H.264 is also supported by most popular software titles including Adobe Premiere® and Windows Media® Encoder. The included software not only lets you capture and export videos, but it also lets you take screenshots, schedule recordings and instantly stream your video source over the Internet, using online services such as Twitch. This video capture device will not record digitally encrypted content. The maximum refresh rate this device can capture at with a 1080p resolution is 30 Hz. If a 1080p video source with a higher refresh rate is introduced (such as 60 or 50 Hz), the refresh rate in the exported video file will be reduced. The USB2HDCAPM is backed by a StarTech.com 2-year warranty and free lifetime technical support.